Welcome to Staying Healthy Naturally. A show that focuses on healthy ways to help you achieve optimal health. Welcome to Staying Healthy Naturally. A podcast that focuses on healthy ways to help you achieve optimal health. • Interested in your genome? • Have you had your DNA analyzed or thought of having your DNA analyzed? • Are you confused about what the results mean and what to do with this information? 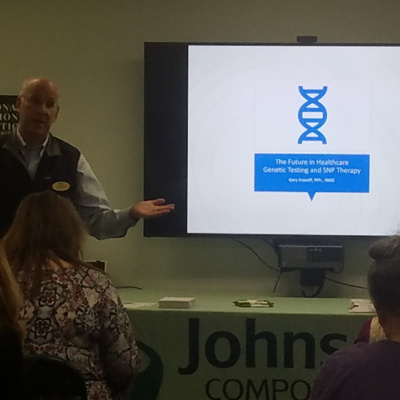 Join Dr. Gary and listen the lecture he presented Tuesday Sept 25th 7 PM - 8:30 PM at Johnson Compounding and Wellness for a discussion on what gene SNPS are, what they tell us and how to use this information to help with current issues. 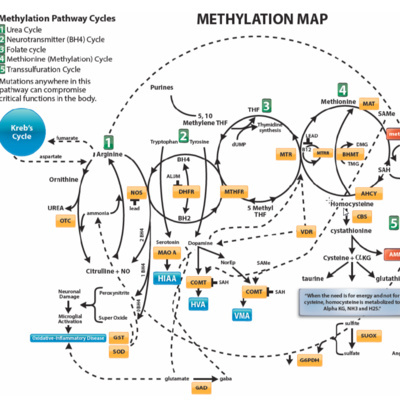 Understanding your genetics, epigenetics and methylation can help one maintain health as we age and help deal with many current health issues. We cannot change our genes or treat gene corruption, but we can help our bodies clean up the metabolic mess that has occurred and assist with lifestyle changes to support our system. Jeff Citro is a licensed mental health counselor interested in helping people discover and make the most of human potential. He has experience in clinical, residential and academic settings as an educator, psychotherapist, and spiritual director. Drawing on this wealth of experience he concentrates on treating the "whole person" rather than a diagnosis. Functional Medicine with Dr. Alex Bingham: What it is and what a functional medicine appointment intails. Dr. Alex Bingham will discuss his journey from premed to functional medicine. He will discuss what a functional medicine appointment involves, and why it is different from the standard doctor appointment. Why anti-histamine products are only a temporary band-aid, not a solution. What to do to help your body heal and respond more appropriately Helpful, natural products for allergies will be discussed that help the body balance and can lower allergic responses Protocols for the whole family, infants to seniors will be discussed. Poor diet and lifestyle choices, and stress are some common factors that cause inflammation. There is helpful and harmful inflammation. 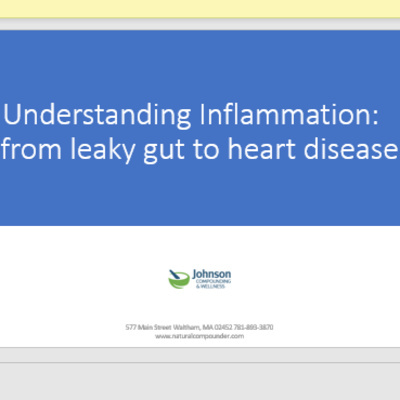 This 2 part podcast talks about some causes of inflammation, the difference between acute and chronic inflammation and offers some helpful suggestions. Symptom and disease management is NOT one-sized fits all. Practitioner Gary Kracoff, RPh. and Bridgitte Carroll, MS, RDN will teach you how to gain more knowledge about imbalances in your own body. 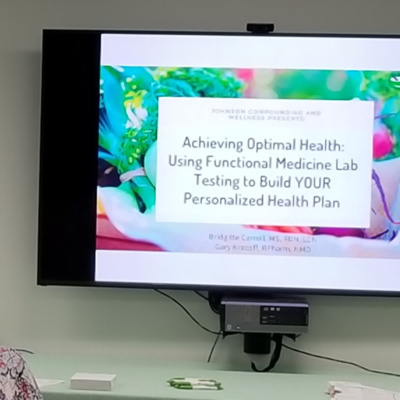 The lecture will explain what functional lab tests are and how they can shape a personalized health plan to achieve optimal health. 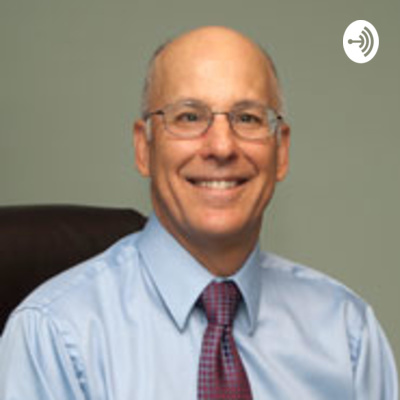 In part 2 Dr. Gary and Brigitte Carroll discuss diets, lab testing and how functional dietitians differ from dietitians. 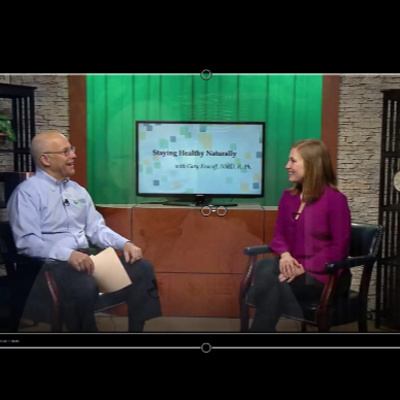 In part 1, Dr Gary explores with Brigitte Carroll what a functional dietitian is and how her approach is different than what is usually provided by dietitians.